On Monday 12th October and Tuesday 13th October, Peter Campisi, Board Chair of Robinvale District Health Services and Mara Richards, CEO were part of a delegation that visited Canberra to raise the profile and discuss issues around the Multi-Purpose Services. Our health service is known formally as a Multi-Purpose Service, which means that we deliver a very broad base of services that are both flexible and responsive to our unique communities’ needs. There are 7 MPS’s in Victoria with Robinvale and Mallee Track (Ouyen) representing the north west of the state. Currently there are some anomalies in the funding of aged care with a shortfall in comparison to other mainstream aged care providers. The MPS health model is also over 20 years old and is due for a review to maintain its viability into the future. Peter and Mara met with a range of politicians, 8 over the 2 days whilst in Canberra, including our own, very busy MP, Andrew Broad, Member for Mallee. It was also the first sitting of parliament since the change in leadership and Peter and Mara enjoyed a very lively and at times, entertaining question time during their visit. 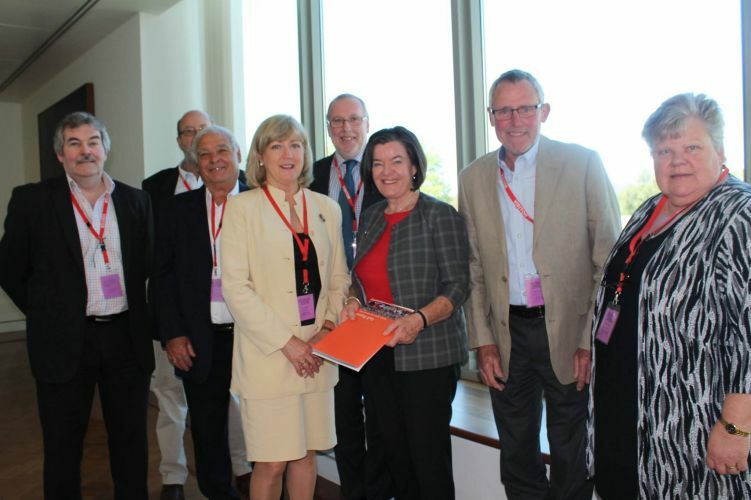 Cathy McGowan, Member for Indi, Victoria, posed a question to Sussan Ley, Minister for Health and Minister for Aged Care with regard to the funding and review of the MPS organisations. Minister Ley responded very positively to the question and acknowledged the special circumstances related to the aged care needs of rural and regional Australians. Peter commented that he felt confident that the visit was a worthwhile one (despite the long drive over and back!) in that our message from the MPS group was clear and urgent and he was looking forward to continuing to talk with those in government to ensure that our message kept a high profile in their minds!